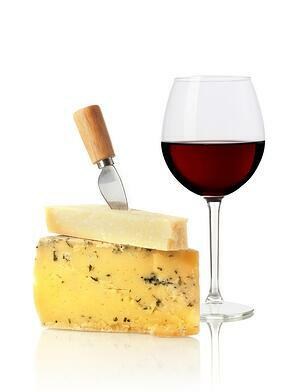 It’s true, wine and cheese are a great pairing, and so is the due diligence pairing of UCC liens and tax liens. Rarely would you search for one in the public record and not the other when conducting due diligence searches. After all, in most cases, tax liens are filed and maintained on the same central public index as UCC financing statements. But there is even more that must be considered to ensure that all potential records are found. UCC liens are different in a number of ways from tax and judgement liens. To start, UCC liens are consensual liens. Tax and judgement liens are non-consensual statutory liens. A consensual lien is contractual. In other words, the parties come to an agreement, a contract (security agreement) is signed, the lien is created and then filed for the purpose of perfection and priority. Statutory liens, which often include, but are not limited to, federal tax liens, state tax liens and judgement liens, occur by operation of law. Statutory liens arise without permission or consent by the debtor. There is no “handshake” agreeing to the lien by all parties. As an example, often, when an individual or entity fails to pay taxes, a lien is filed in the public record. The lien is created automatically by operation of law, and filed with the appropriate jurisdiction(s) without further action or permission from the debtor. Article 9 of the UCC governs secured transactions but NOT statutory liens even though often, but not always, tax liens appear on the same searchable index as UCCs. UCCs are generally filed and searched based on the state of formation of an entity or the primary residence of an individual. Statutory liens follow different laws and are NOT filed or searched based on the state in which the debtor was formed. Therefore, if you are searching on a corporation formed in Delaware whose chief executive office is located in California, at a minimum, two due diligence searches are necessary. One search with the Delaware Secretary of State to uncover all UCC financing statements and a second search with the California Secretary of State where the chief executive office is located to determine if any statutory liens are on file in California. Federal tax liens against a Delaware entity whose principal place of business is located in California would not be found on the Delaware index where the UCCs are located even though Delaware also maintains federal tax liens on the same index as UCC financing statements. Ohio Secretary of State maintains personal property related UCC liens only. The local county recorder offices maintain state and federal tax liens. Colorado Secretary of State maintains personal property related UCC liens AND federal tax liens but NOT state tax liens. California Secretary of State maintains UCCs, federal tax liens, state tax liens and judgment liens although the statutory liens may also be filed at the county recorder offices as well, depending on the property. Due diligence searching requires a clear understanding of where to search and which liens need to be discovered. Simply because tax liens are on the same index as UCCs is not a good indicator of whether you will find ALL of the effective liens your due diligence project requires. So, while UCC liens and tax liens go together like wine and cheese, keep in mind that not all wines go with all cheeses!